Paul2Paul is making his big debut for us over here at 19BOX RECORDINGS. After appearing as a remixer of Hideout’s ‘Songbird’, the Muscovite who now calls Philadelphia, USA home has delivered original track entitled ‘Everything Is Down’. This is a proper deep house assault with Detroit techno elements. Of course we can’t forget about the remixes… 19BOX has enlisted the services of John Mash and AutoCharm. 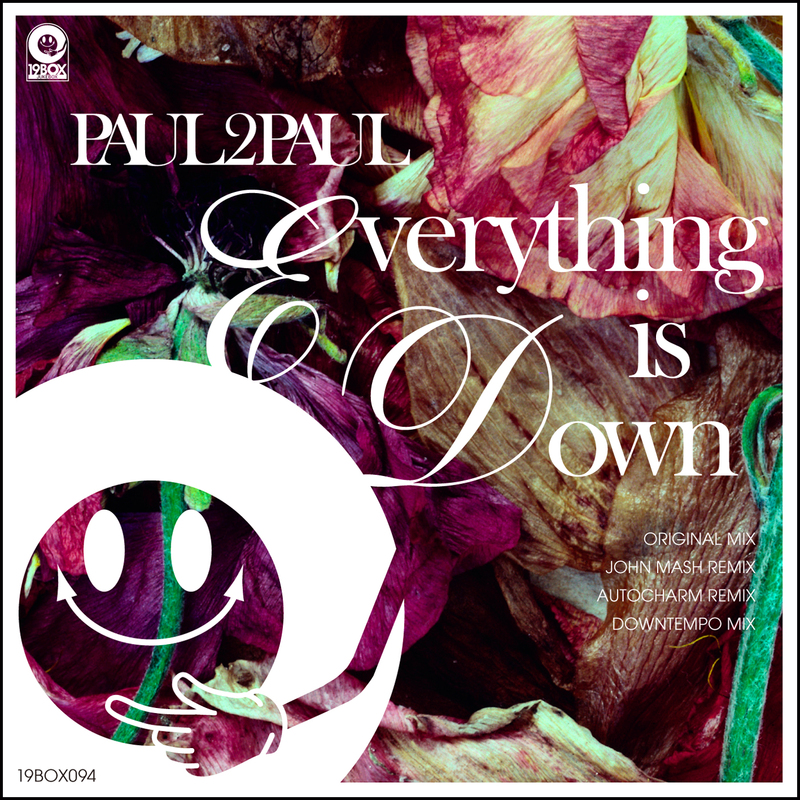 Lastly, Paul2Paul round out the package with a downtempo mix as well! 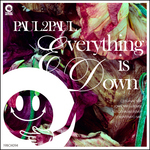 That gives you four stellar mixes of ‘Everything Is Down’ that are sure to not let you down. Paul2Paul is making his big debut for us over here at 19BOX RECORDINGS. After appearing as a remixer of Hideout’s ‘Songbird’, the Muscovite who now calls Philadelphia, USA home has delivered original track entitled ‘Everything Is Down’. This is a proper deep house assault with Detroit techno elements. Of course we can’t forget about the remixes… 19BOX has enlisted the services of John Mash and AutoCharm. Italian producer John Mash takes the track deeper into progressive territory instead of his typical trance style. His music has been supported by the likes of Armin Van Buuren, Paul Van Dyk and so on. His production is characterised by particular elegance towards melody. AutoCharm hail from the vibrant and hardened streets of Glasgow, Scotland in the UK. They are a three piece production team who write and produce their own music from their recording studio in Motherwell. Consisting of David Fotheringham, Phil O'Shea and Dougie McAuley, the team fuse together electronics with real instrumentation to make a blend of jazzy, disco soulful house based music and have also been known to produce some jazzy lounge too. Lastly, Paul2Paul round out the package with a downtempo mix as well! That gives you four stellar mixes of ‘Everything Is Down’ that are sure to not let you down. Spring has come and it's time for what we call 'Ohanami' in Japan. Ohanami is the season that we enjoy eating and drinking with family, friends or coworkers under the fully bloomed cherry blossoms. “Kyoto Sakura Lounge” has the distinction of being exclusively produced by Japanese artists. There are several tracks that have been solely released with this compilation in mind. These include new material of Hideout 's 'Cherry Blossom In Kyoto', and the unreleased remix of 'Songbird' done by Paul2Paul, plus the previously unavailable to digital Radio Edit of 'Hide And Seek'. Grab a bottle of your favourite sake or Japanese beer, fire this up in the park and enjoy the beauty of Ohanami under cherry blossoms. 2ND SINGLE FROM "80s INVESTIGATION"
Following on the heels of Hideout’s ‘Songbird’, we have decided to continue releasing singles from our “80s Investigation” compilation. 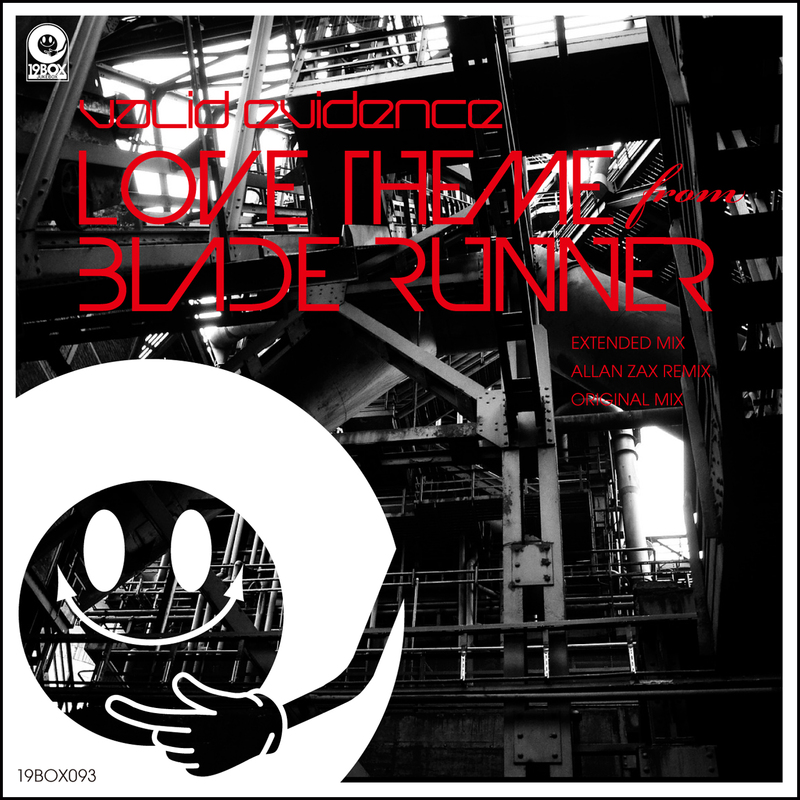 Valid Evidence aka DJ 19 & Yu-Ta have covered the revered Vangelis-penned ‘Love Theme’ from the movie “Blade Runner”. We have provided you with the original mix, an extended version and a stellar Allan Zax remix as well. 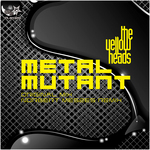 After releasing ‘Madara’ on PARK LIMITED MUZIK, Spanish techno stars The YellowHeads are back with their ‘Metal Mutant’ track. There’s a slew of techy rhythms and throbbing stabs that all build up gradually, underpinned by steamrolling drums and a massive synth line. This is a great techno weapon designed to set the smoke machine to ‘stun’ as it rips the dancefloor to shreds! Without hesitation, Hungarian producer Norbert Meszes steps in for remix duties. He has received attention and support from many DJs with tech house and techno tracks being released on labels such as 1642 RECORDS, PHUNKATION, NICARAGUA GROOVE RECORDS and so on. His mix takes on a different direction by adding in additional production and vocal samples. We are sure that one of these mixes will find your delight. Stay tuned in 2015 with PARK LIMITED MUZIK and more great releases! After releasing ‘Madara’ on PARK LIMITED MUZIK, Spanish techno stars The YellowHeads are back with their ‘Metal Mutant’ track. There’s a slew of techy rhythms and throbbing stabs that all build up gradually, underpinned by steamrolling drums and a massive synth line. This is a great techno weapon designed to set the smoke machine to ‘stun’ as it rips the dancefloor to shreds! Without hesitation, Hungarian producer Norbert Meszes steps in for remix duties. Following on the heels of Hideout’s ‘Songbird’, we have decided to continue releasing singles from our “80s Investigation” compilation of covers by Japanese artists. 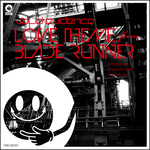 Valid Evidence aka DJ 19 & Yu-Ta have covered the revered Vangelis-penned ‘Love Theme’ from the movie “Blade Runner”. It just so happens that this is DJ 19’s favourite movie of all time that was scored by the legend that is Vangelis. We have provided you with the original mix, an extended version and a stellar Allan Zax remix as well. Allan Zax is Bulgarian electronic music producer, who has released tracks with several different aliases in a wide ranging number of different genres like progressive trance, drum n bass, deep house, chillout and others. Due to his father’s influence growing up, Allan grew to love the sounds of Vangelis. That inspiration drives his remix and keeps the original vibe with the addition of an extra melody.